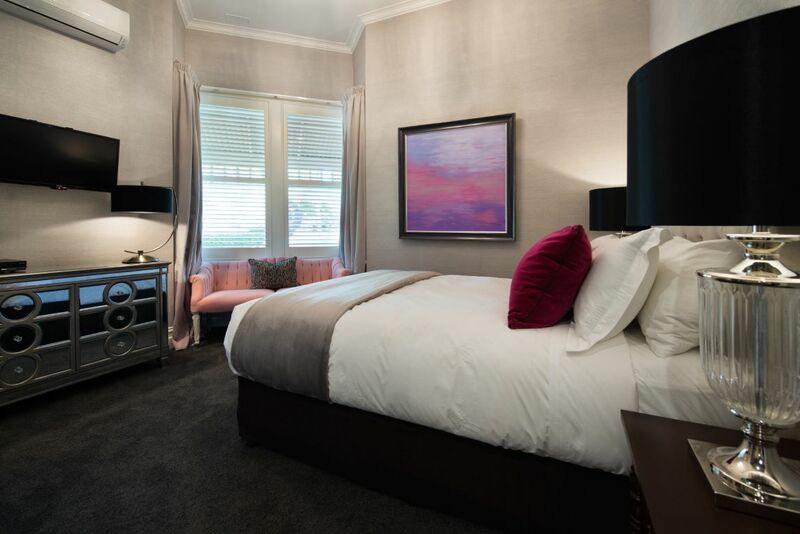 Located in the heart of the pretty spa village of Hepburn Springs, The Dudley Boutique Hotel is a beautifully restored country-style retreat nestled in lush, shaded gardens with flowering trees. Every room comes equipped with comfortable and luxurious beds including indulgent quilts, electric blankets and a pillow menu. 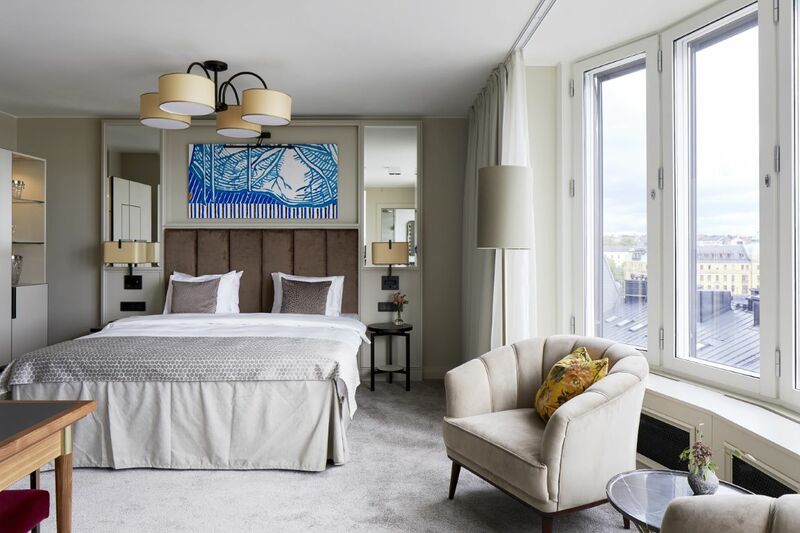 For the ultimate luxury, the Dudley Suite features a king bed, a spa bath, two decks with outdoor seating, modern kitchen with Nespresso coffee machine and stainless-steel appliances, dining room, and lounge with log fire. The hotel serves daily gourmet breakfasts championing local-grown produce including fresh eggs, fig-dotted charcuterie and just-squeezed juices. Although the hotel doesn’t have a restaurant, The Library offers a selection of pre-dinner canapés and drinks for guests to enjoy before heading out to one of the trendy eateries in the area. The property is a haven for hikers and mountain bikers, with a fabulous range of bush walks and trails close at hand. Guests should also explore the nearby town of Daylesford, situated less than four kilometers away, with its famous natural spring mineral spas, restaurants, galleries and immaculate gardens. SLH Insider Tip: Guests who feel peckish in the middle of the night can sneak into The Library where they’ll find an array of snacks including crisps, chocolates and nuts. Villa Maria Cristina is an elegant boutique hotel set in the neo-classical townhouse of Guanajuato, Mexico, a well-preserved colonial UNESCO city surrounded by the picturesque mountains and valleys of the Sierra de Guanajuato. The classic façade and entrance lobby hide a welcoming retreat inspired by Guanajuato’s architecture with Catalan mosaics, French cast iron columns, warm wood floors and high ceilings. Art lovers will particularly appreciate the eclectic mix of classic and contemporary original pieces of art from local and foreign renowned artists. From a stylish central pool and outdoor hot tub to secluded tables made for leisurely coffees, there are plenty of spots to stretch out and relax. Inside, the 300 sq. metres spa features a sunken Roman-style pool, steams and sauna baths as well as a heated plunge pool for little ones. In the restaurants and bars, authentic Mexican fare is the order of the day – from fine dining at Teresita to pizzas, steaks and seafood on the grill at La Colombaia restaurant. El Caballo Bar transport guests to a sophisticated Mexican ranch-style bar serving the finest tequila cocktails surrounded by stone walls, a wood counter and an impressive collection of horses’ artworks from all around the world. Guests should not miss the chance to explore Guanajuato with its fascinating buildings dating back to the sixteenth century, Diego Rivera’s home and vibrant food markets. SLH Insider Tip: Guests looking for a romantic spot will love the hotel’s private cinema which comes complete with large screen, booming sound, connection to Netflix, and comfortable leather seats. Set in an early 20th-century building that was once a bank, this luxury hotel reimagines its stately setting as somewhere to mark moments rather than count coins. Designed as a bold, modern interpretation of a renaissance palace, architect Thor Thorén blended elements of art-deco extravagance with the traditional solidity expected of a bank’s headquarters including oversize bronze doors and a glass ceiling. All rooms combine a soft, natural colour palette with sumptuous design flourishes that evoke the building’s blend of history and modernity. Bathrooms focus on elegance and quality, with judicious use of marble and bronze adding just a splash of decadence. With its black and white marble floors, stuccoed columns and sparkling chandeliers, the Bank Hall restaurant conjures up the glamour of days gone by. Menus focus on contemporary food from around the world, from classic French dishes such as steak tartare to handmade pasta dishes that seem straight from Tuscany. 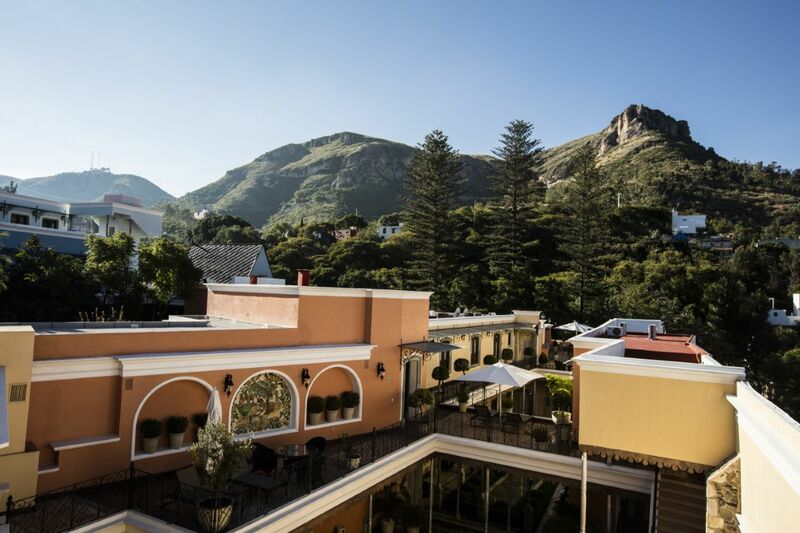 The hotel also houses Sophie’s, a modern all-day lounge, and Papillon, an opulent, mahogany-panelled cocktail bar as well as a top-floor bar and terrace offering 360-degree views of the city and waterfront. The Bank Hotel is within short distance of some of the city’s most vibrant nightlife, dining and shopping as well as some of the thousands of islands surrounding the Swedish capital. SLH Insider Tip: Guests should make sure they order a money-themed cocktail from the Papillon Bar such as the “Dirty Money” with Charanda Pisco, apple, ginger, lemon or the “Red Vault” with Hernö Old Tom Gin, Cointreau Blood Orange, Lingonberry and yuzu. Located next to Incheon Airport, the nation’s main gateway to the world, Art Paradiso Hotel sits within the stylish Paradise City resort, an integrated resort complex featuring art and entertainment facilities, a spa, a club, a shopping arcade and a casino. 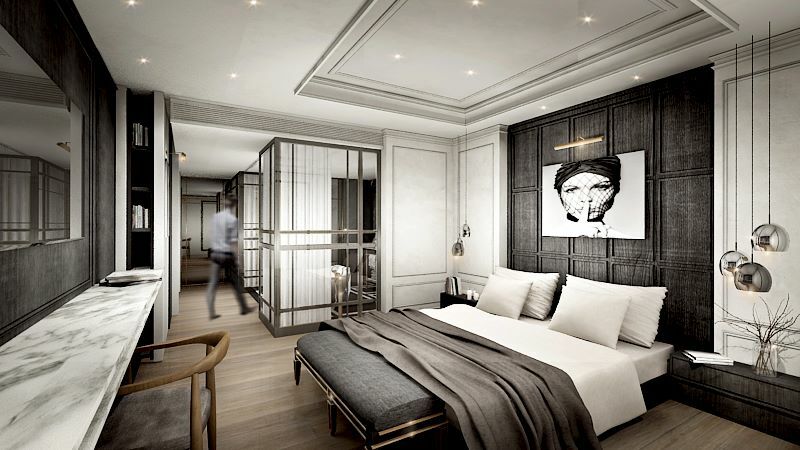 The hotel is filled with modern and contemporary artworks, marble floors, mirrored ceilings and statement lightning, much like an art gallery. The first-floor lobby features a piece of art created by artist Paik Nam-June and inspired by Alfred Hitchcock’s 1963 film “The Birds” whereas the wall at the Clock Lounge is adorned with 12 photos from the “Lady Justice” series by Australian artist Alexia Sinclair. The elevators have been decorated by Xeva, a Korean graffiti artist, with artwork depicting the day and night of a city. The hotel’s sleek Serasé restaurant serves up a refined and modern take on traditional Korean dining as well as a great selection of classic cocktails. 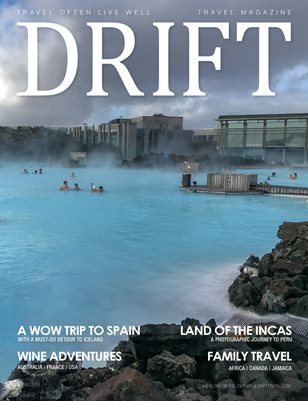 There are also plenty of facilities for guests to relax at the hotel including an indoor and outdoor pool, a private spa, a fitness center and a sauna. Guests should not miss the chance to discover wider Incheon, with its vibrant Chinatown district and traditional markets set among futuristic skyscrapers. SLH Insider Tip: Families will love Wonder Box, a night-time amusement launching soon in the Paradise City complex with various rides including a merry-go-round, a Ferris wheel and a 360-degree revolving dynamic attraction, the first of its kind in Korea. Set across five Zen-inspired buildings, Enso Ango is Japan’s first dispersed hotel with rooms and amenities scattered a few roads apart. 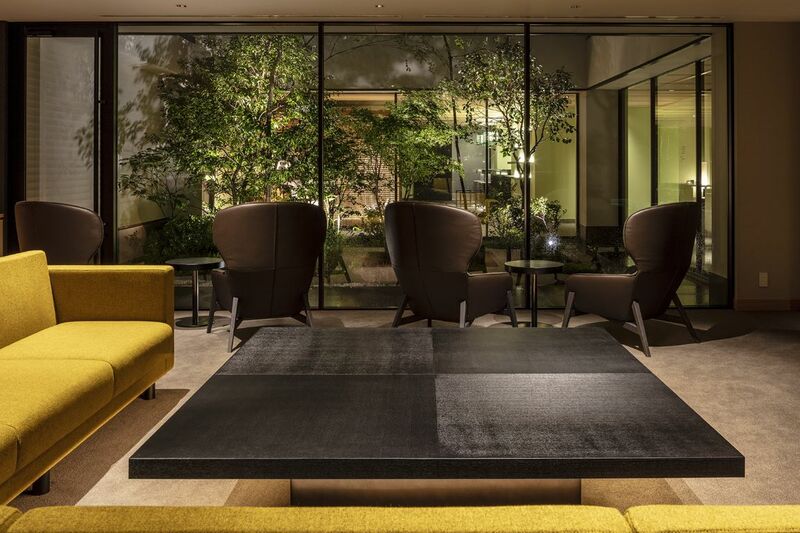 This artful boutique retreat blends seamlessly with the cityscape, inviting guests to walk Kyoto’s historical paths and immerse in local culture as they explore the hotel. Each of the five buildings has a different contemporary feel, yet their traditional Machiya structure brings a sense of unity and calmness. Designed with tranquillity in mind, the calm palette and crisp lines in each suite invite guests to relax – right away. Guests can uncover clarity of mind through Zen meditation sessions with Buddhist priests of Ryōsokuin temple, take lessons in traditional cooking and crafts, practice yoga in the Tatami Salon or take part in a traditional tea ceremony in the collapsible tea room made from bamboo and Japanese paper. TOMI II restaurant offers a memorable dining experience with flavours from Spain and Japan, dishes combining hot and cold Pintxos-style plates with locally-sourced Japanese fare. There are guest lounges in each building too, offering cold-brewed coffee, cool drinks and delicious snacks. SLH Insider Tip: Guests should travel to Kyoto in March to experience Higashiyama’s Hanatoro, one of the biggest events to take place in the Japanese city. Lanterns are placed along the lanes and roads with various light sculptures and installations on display making it a magical place to walk around.